My first idea was to get something for our living room, but Steve was not too into this idea. Then when I was checking them out I found the zebra sticker and thought it would be great for Hazel's Wild Kratts themed birthday party. Steve vetoed having a zebra on our living room wall for six months. 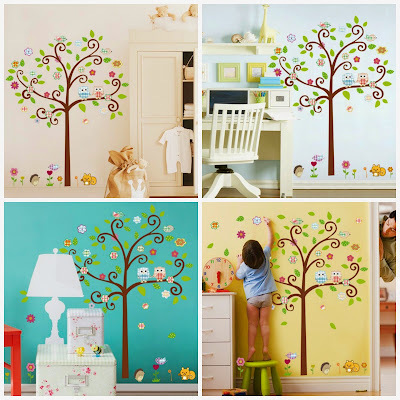 I talked him into the possibility of a tree wall sticker, but by this time Hazel had checked them out and really wanted one for her room. 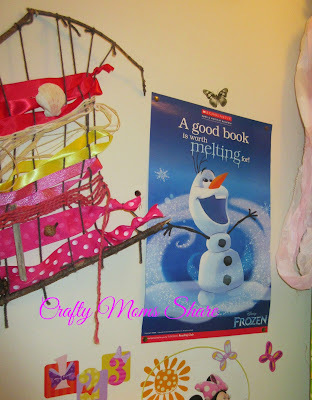 Then she and I spent a long time looking at all the choices for her room. Some were too big for the space and others would mean rearranging the other things on her walls. Finally we decided on Two Owls in a Swirling Tree. 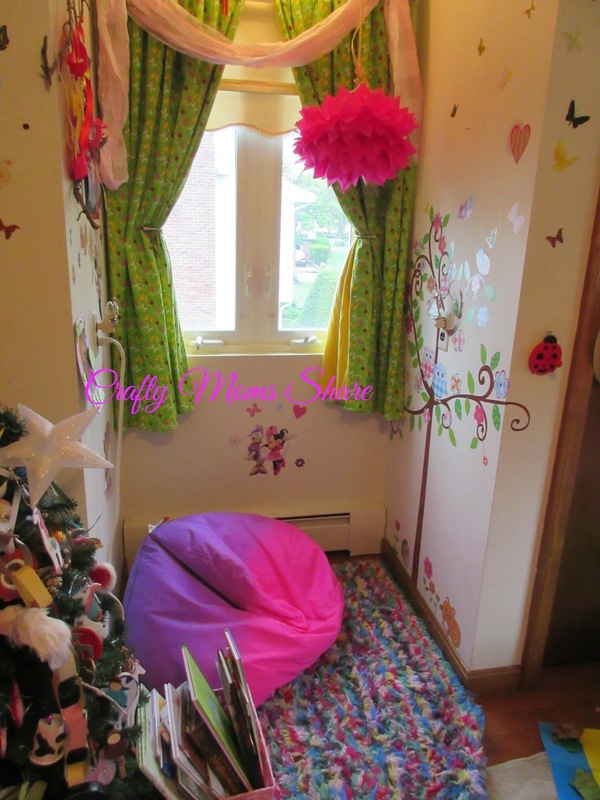 We didn't think it would fit in the window nook, and were prepared to make her reading corner on the other side of the room where her play kitchen use to be (it is now in her clubhouse). Their website offers pictures of the sticker on different colors so you can get a good idea of what it will look like with various backgrounds. The sticker was shipped from overseas and we had a small problem with the shipping, but it was not the company's fault. When it arrived we opened it up. I had Steve and Hazel help hold it open for a picture. 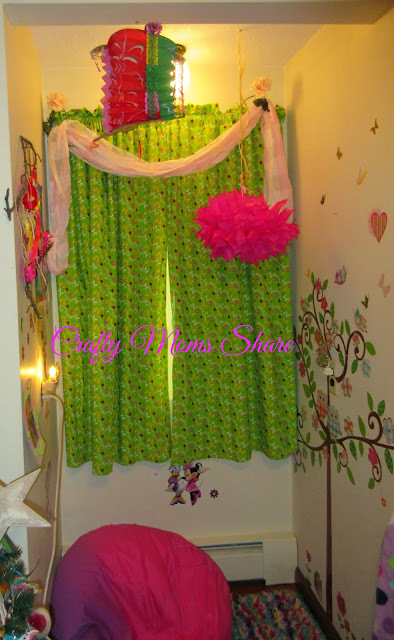 Since it came in pieces, we decided to try it in the window nook and see if we could manipulate it to fit. Hazel and I went straight to work. Since the stickers are removable we felt safe to try this option and figured we could move it to the other wall. It definitely helped to have both of us to put the branches up. They would curl and stick to themselves with out extra hands. Of course we did not do what the instructions suggested about leaving it under heavy books for 48 hours. Oops! Someone was too excited or perhaps both of us were. We wrapped it around the corners and changed the angles of the branches. We worked around the outlet (and nightlight) and had to remove a picture and wall stickers already on the wall, but it came out well. Hazel loves it! Plus it was a fun project for us to put it up. I moved over a Chinese lantern Hazel has and a paper pom pom one of her birthday parties from the ceiling. There is a light there already. We had some butterfly wall stickers on the walls already as well as some of a Minnie Mouse set. On the other side there is a fun poster about reading that we got with a Scholastic Reading Club order and our Nature Weave Art. Even as we put up the stickers, Hazel was making up stories about the animals. I can already tell it is going to give her a starting point for her creativity which was my goal. I think the sticker is a perfect addition to her cozy reading nook and I have noticed she is already using it. Oh, and I bought a basket for her to keep some favorite books or at least what she is reading at the time in. Her bookshelves are on the other side of her room, so now she can have a selection right there. 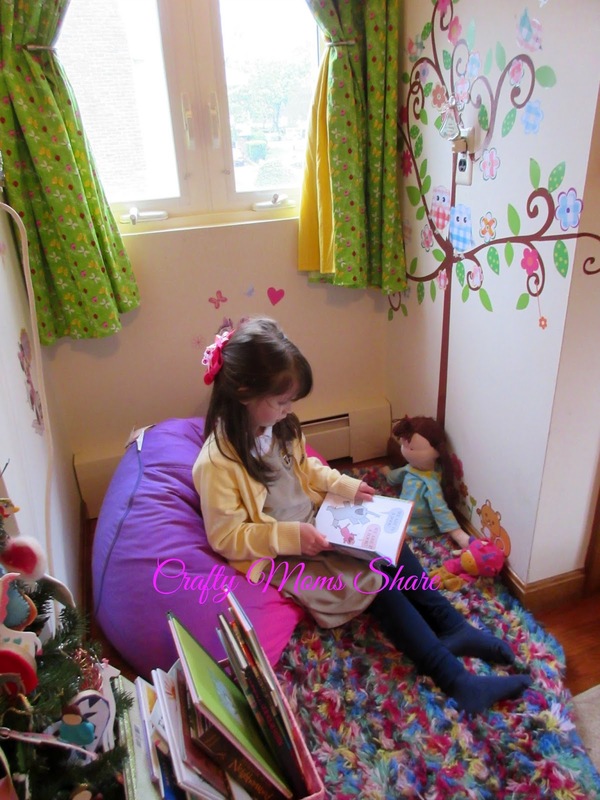 I often find her in there reading to her dolls and animals. Right now she is loving to read Piggie and Elephant books! 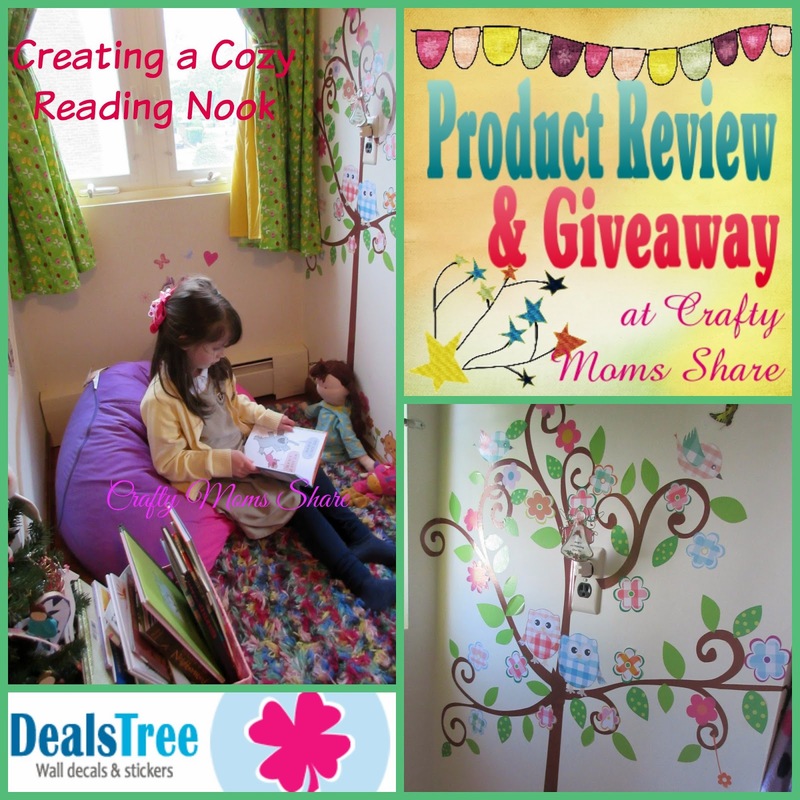 The tree makes the space even more colorful and adds a bit of whimsy and fun to the space. Now it is time for the giveaway. 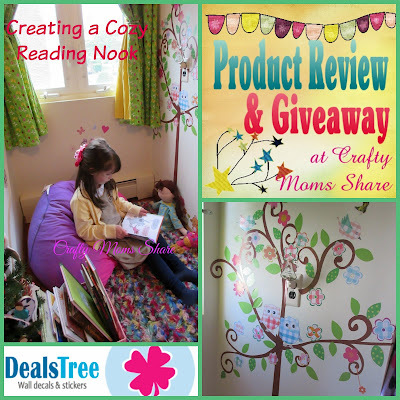 One lucky winner will win his or her choice of any sticker at Decals Tree site that is $50 or less. It is open to the US only and you need to follow my Giveaway Rules! Follow the Rafflecopter and good luck! !